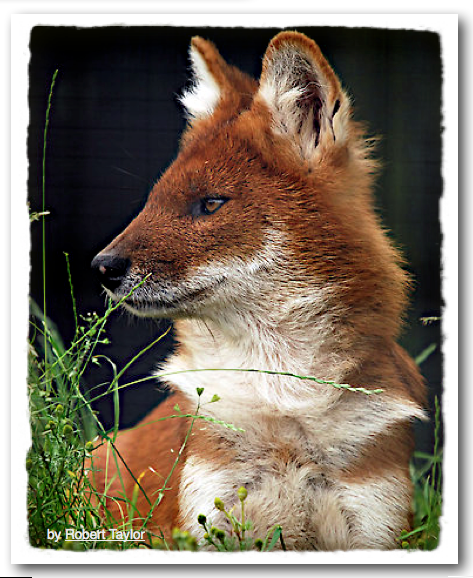 There is a wild dog. It even makes a chickeny clucking sound. But in groups, it can kill a tiger! 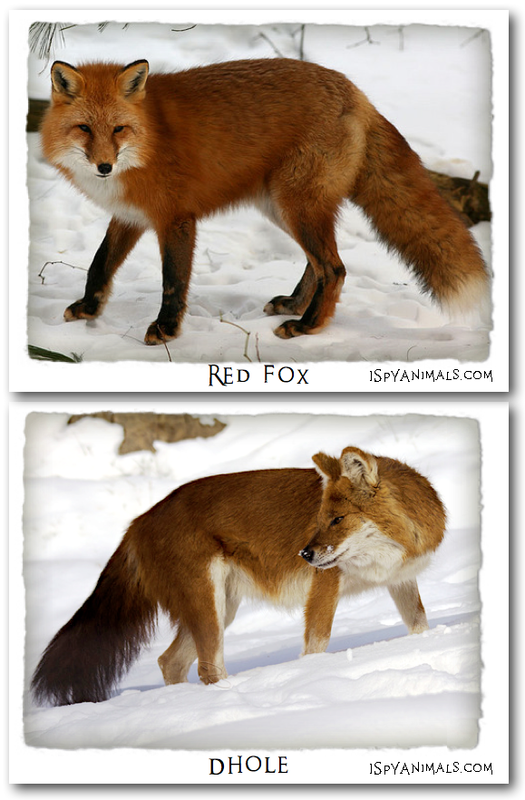 Looks kind of like a Red fox, doesn't it? 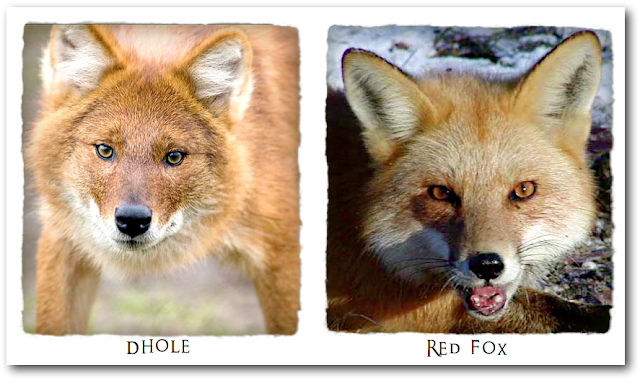 And...notice the black on the backside of the Red fox's ears? 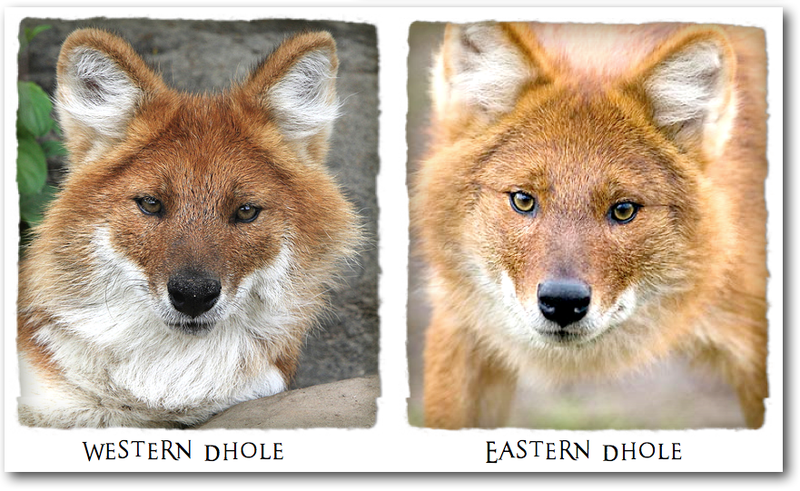 Dholes don't have that! Want to see all three types of Dholes? 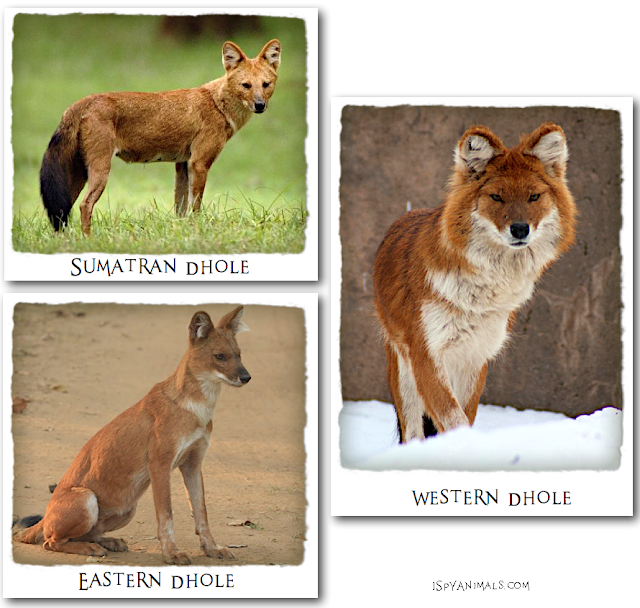 Did you ever know Dholes existed? Let me know...leave a comment! Nice to know. And beautiful photos.